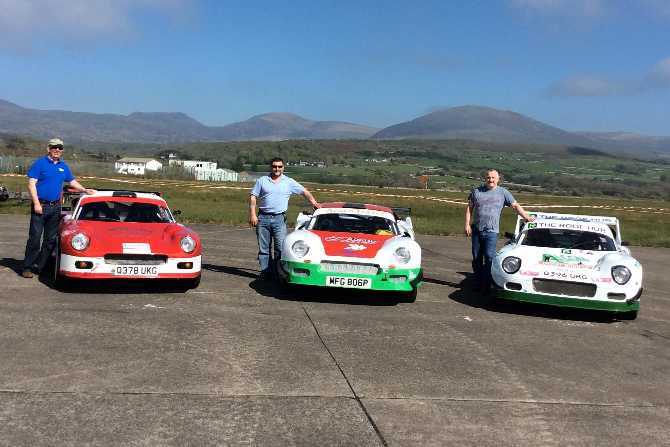 Over the May Day bank holiday weekend three Forresters’ crews competed at the Harlech & District MC; Toyota Harlech Stages. The three crews arrived at scrutineering on a fine Saturday afternoon. Richard Merriman, David Morgan, Alan Thomas, Ian Sutton, Karen Phelps & Kelvin Saunders all walked the course that afternoon and by all accounts the banter had started flowing. 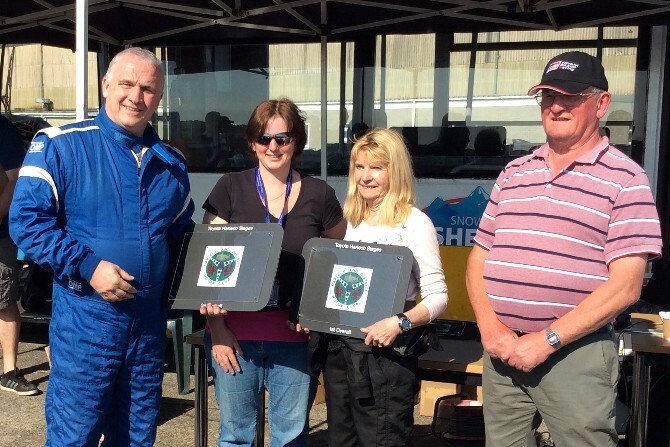 Sunday, the day of rally and as the morning mist rolled off the airfield, Kath Curzon had managed to join up with Richard after dashing back from a trip to London on the Saturday. Richard and Kath had a minor error on the first stage losing them around 5 seconds, but keeping their heads they continued to gain pace through the next 3 stages to maintain 2nd overall. David and Alan had an excellent start to the day setting a number of fastest stage times. The pair found themselves leading by 30 seconds after 4 stages. Ian and Karen also had a good run getting used to the speed of the venue and finding them 6th overall after 4 stages. There were 6 Darrians at the event hence the “Darrianfest” tag line, after the first 4 stages, 5 of them were in the top 6 and 3 were the Forresters members. Moving into the second half of the rally David and Alan lost around 45 seconds with a stage 7 error. This allowed Richard and Kath to assume the lead. They would not let this slip on the final stage which allowed them to take the win overall. David and Alan recovered on the final stage to pull back to 2nd overall and 1st in class. Ian and Karen struggled as they caught the slower cars on the longer afternoon stages and also pulling aside to allow faster cars pass on the 2nd/3rd laps. They would still go on to finish 8th overall and 3rd in the competitive 2 litre class.